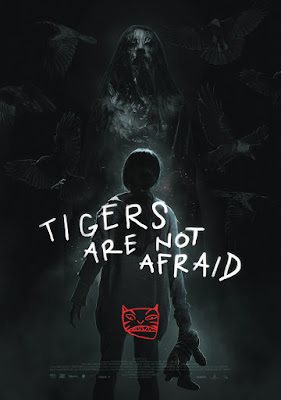 Ahead of the UK premiere of TIGERS ARE NOT AFRAID at Horror Channel FrightFest Glasgow 2018, director Issa Lopez tells us about her journey from Mexico’s SESAME STREET to creating an internationally admired feature film and why the horror genre has always been her passion. Q: Could you tell us about your career background leading up to TIGERS ARE NOT AFRAID. My first paid job in the business was writing and directing segments for the Mexican Sesame Street. Eventually I moved on to write soap-operas, or Telenovelas, as they are known in Mexico. Terrible job, but quite the school for writers. It took me around five years to find my way into movies: writing romantic comedies. It took a while to convince producers I could direct myself, and that I didn’t want to direct the rom-coms I was known for, but very caustic comedies. I directed two of these. I know, nothing of this seems to lead to Tigers, but actually, it did: genre has always been my passion, and so many years, pages, scenes without it pushed me into going full-fantasy, full-grit with Tigers. Q: TIGERS is very different to your previous works, what were your inspirations for the film? So many of them… it’s a very weird, very honest blend of passions. From ‘Goonies’ and ‘Stand by Me’ to ‘Los Olvidados’, by Buñuel, and of course Del Toro’s two Spanish movies. Q: The performances in the film are simply sensational, especially Paola Lara as Estrella. 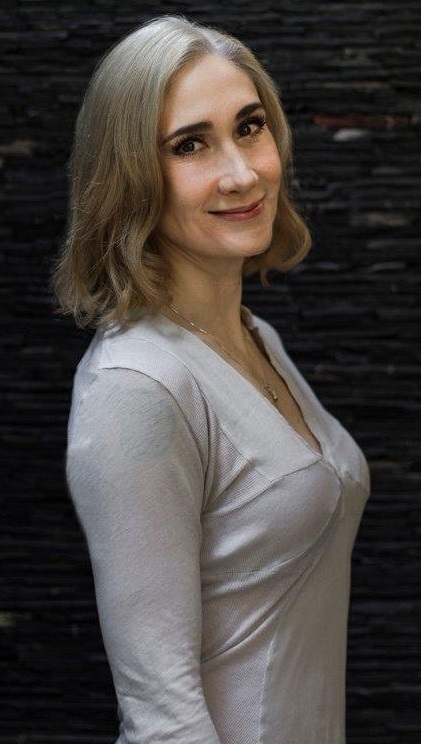 How was the casting process and how did you find working with the young actors? We saw six hundred children to find these five. It was exhausting, exhilarating and heart-breaking, all at the same time. It is tough to say no to kids, and it was so much fun to watch them improvise… for the final round, we enlisted the help of acting-guru Fátima Toledo, the Brazilian genius behind the performances in ‘City of God’. Fátima and I went together through the final twenty to pick the five. We agreed on most of it, disagreed on some, and ended up very happy with our choices. I love them all, and it was a joy to spend with them the prep and the shooting. Q: The film has a beautiful look and feel to it, was that difficult to achieve and how did you set about it? Thanks! For every project, even while writing, I start to create endless boards of visual references that were the spine for the look and universe you saw on the screen: this kind of ghost city retaken by children and wilderness. To recreate it, I enlisted the help of two amazing artists: Juan José Saravia, my DP, who immediately understood what I wanted. Together we came up with this feeling of a sixth kid in the gang: us. The camera, hiding, running, playing with Shine’s banda. And then, of course, there’s Ana Solares, whose Production design not only captured what I wanted, but actually brought into the mix elements as central to the story as the graffiti. I ended up writing it into the script. Q: What personal experiences did you draw on to make the film? I lost my mother when I was eight. Of course, the circumstances where, thankfully, very far from the brutality of what happens to my characters, and to so many children in Mexico -and the world. But still, this sense of coming home from school one day and never seeing your mother again, never having a chance to say goodbye, never seeing a body, a casket…gives you a feeling of a ghost following you around, waiting for you to look at it, and acknowledge death. Hence Tigers. Q: How have audiences reacted to the film both at home and internationally? You must be delighted that Stephen King via Twitter gave it such a glowing appraisal…to quote him: “This is one terrific film, both tough and touching. Two minutes in I was under its spell." It’s been absolutely incredible! I LOVE sitting down in theatres, around the world, and experiencing the emotional impact the movie has through such different cultures, and how the differences melt when the story and the characters unfold. People cry. A lot. And it is such a moving, incredible feeling, to know that what we started off trying, actually happened. Is it terrible to say it feels good to make people cry? Mr. King and Mr. Del Toro’s reaction… how to describe the feeling of your personal heroes saying you did well? I still can’t believe it, honestly. Q: Are you looking forward to the screening at FrightFest Glasgow? I’m dying to see how it plays in Scotland! Are you kidding me? Q: What is the state of play with the film industry in Mexico currently, are they generally supportive of genre projects? Nope. Mexican audiences, for the last five years have been demanding and consuming comedy, when it comes to local production. Not surprising, considering the violence we are submerged in right now. So, even though we Mexicans absolutely love genre… we import it. Absurd, right? I hope that changes soon. Q: What films this year have caught your eye? Oh, so many! What a year! Especially for genre. It’s almost pointless to say what a movie ‘The Shape of Water’ is. What maturity, heart, originality it has, and how pertinent to the moment we are all going through. But then there’s ‘A Ghost Story’, that made me cry so much, ‘Thelma’, ‘It Comes at Night’, and ‘Blade Runner 2049’, of course, doomed to become a cult classic, like the original… and soon a couple of gems doing the Fest Circuit are going to be available to all, like ‘Lowlife’ and ‘The Endless’. Q: What is next for you? Will you stay within or perhaps return to the genre at some point? 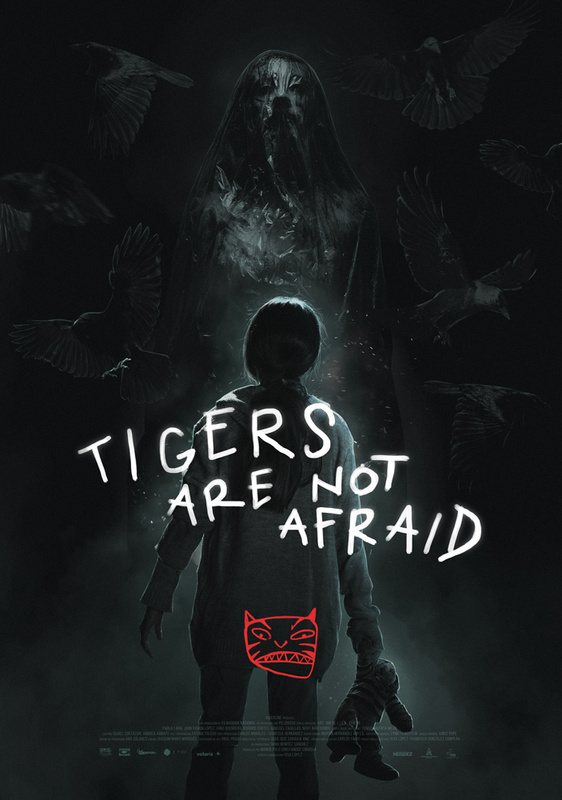 TIGERS ARE NOT AFRAID is showing at the Glasgow Film Theatre on Sat 3 March, 9.05pm, as part of Horror Channel FrightFest Glasgow 2018. Issa Lopez will be attending. Competition: Win 8 'Left Films' horror releases.